Mediterranean restaurants are typically known for their generous portions, and Cedars Deli is no exception. 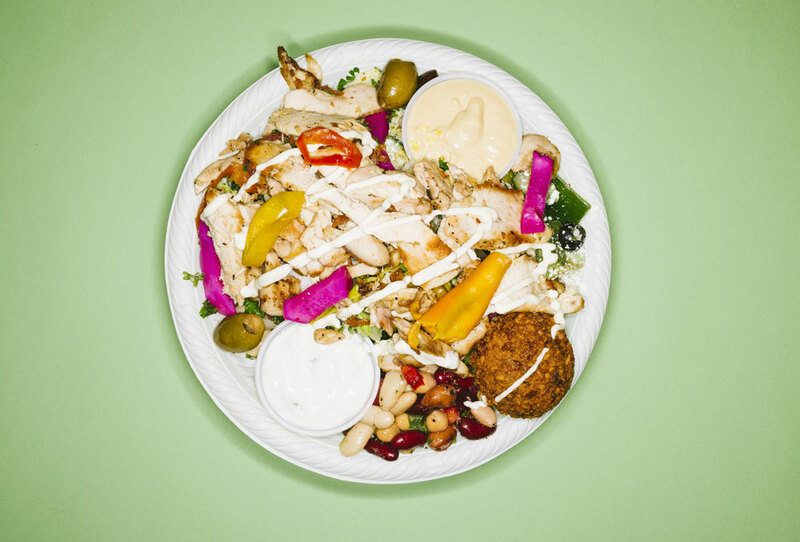 The flavourful chicken and crisp falafel comes with four different salads, plus tons of hummus and tzatziki for spreading and dipping. 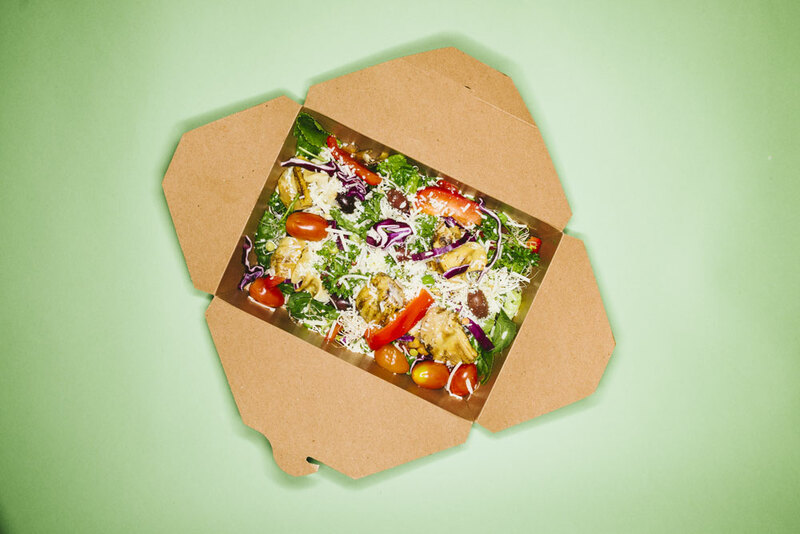 Unlike most salad bars with limp greens and anemic tomatoes, Community Natural Foods offers the opportunity to build the salad of your dreams for as much or as little as you like. The bar is always well-stocked with fresh and perky vegetables, sprouts, beans, cheeses, nuts, seeds, olives and dried fruit. Hate making decisions? There are also reasonably priced grab-and-go salads available, as well as hot lunches at the caf. 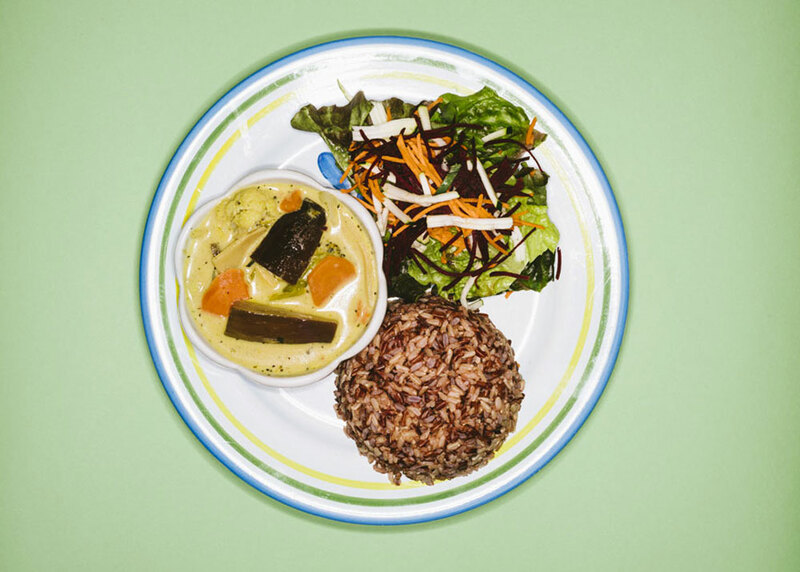 Hearts Choices is a 100-per cent vegan Thai restaurant – even the “chicken” and “beef” dishes use mock meats that taste like the real thing. If you’d rather stick with the basics, however, the Thai green curry is spicy, flavourful and loaded with veggies, and best paired with a generous portion of coconut rice. 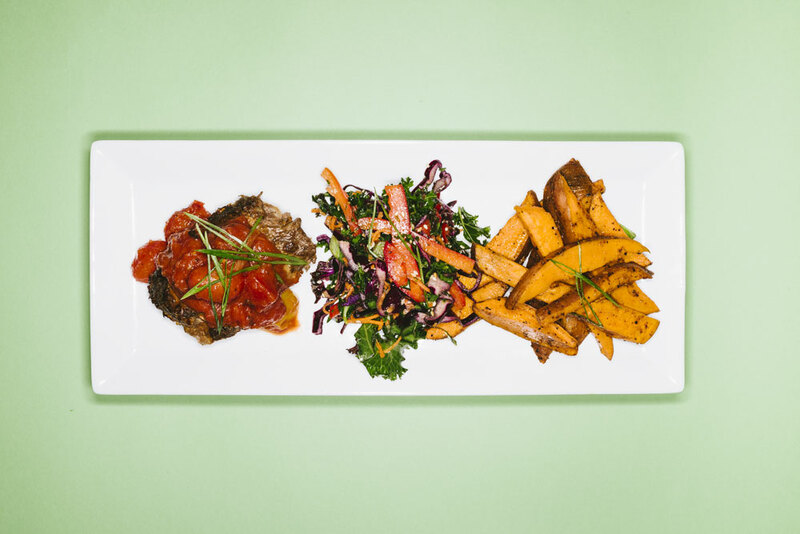 Grape tomato mini meat loaf with sesame kale slaw and baked sweet potato fries. The mini meat loaf simply screams comfort in a tiny, delicious package. The restaurant’s unique, market-like set-up allows you to pick your favourite sides, so you can mix and match a full meal for less than $20. No time to make a home-cooked meal? Fake it with the grab-and-go dinners at Our Daily Brett. 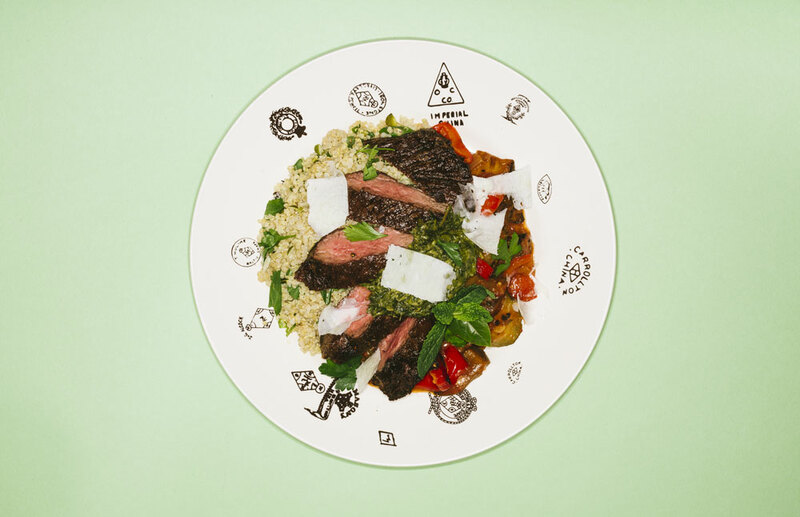 The menu changes daily, offering classics like spaghetti and meatballs or the more virtuous tofu, kale and quinoa bowl, all for around $20. 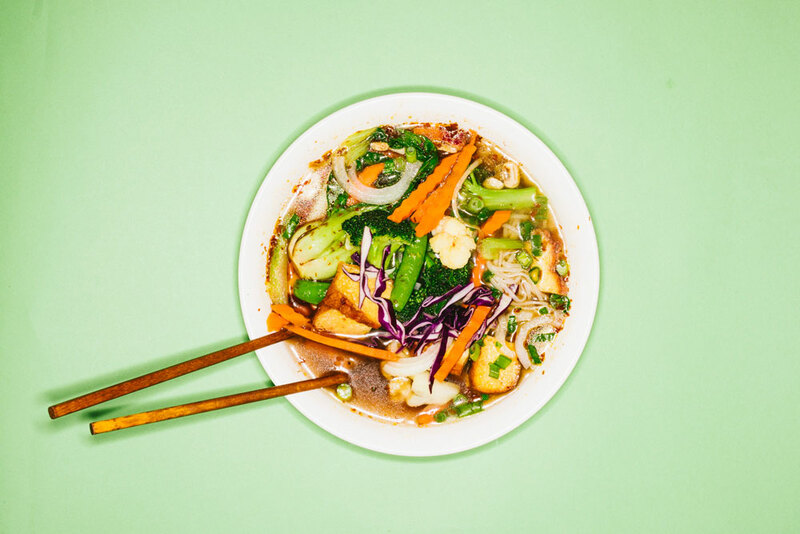 Tamarind is a little pricier than your typical pho joint, but considering that it serves a full vegan menu with tofu made in-house (! ), it’s totally worth it. The rich broth is flavoured with a house-made satay sauce and filled to the brim with mixed vegetables, noodles, bean sprouts and aromatic herbs. 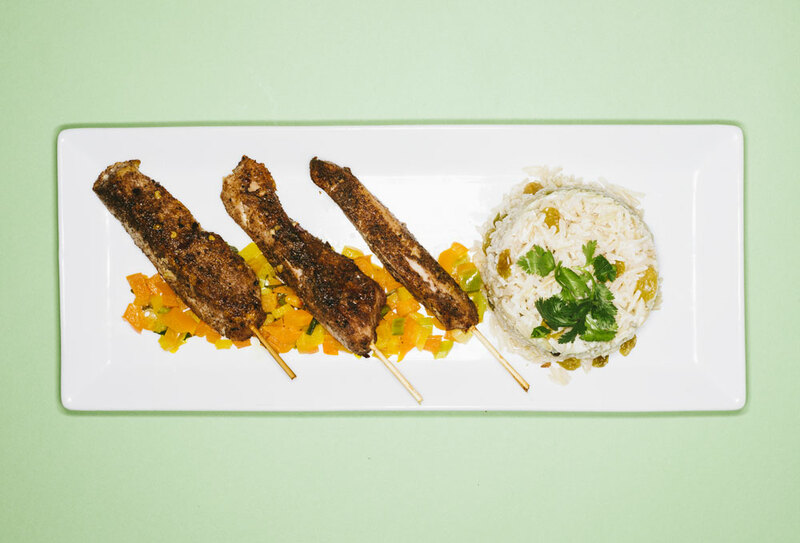 These tender and spicy jerk chicken skewers, served on a bed of brown basmati rice studded with colourful peppers, sweet raisins, pineapple and green onion, are definitely worth the trip to Cochrane. Alternatively, you can pick it up from local grocers like Amaranth, Market 17 and SPUD, and enjoy it in the comfort of your home.